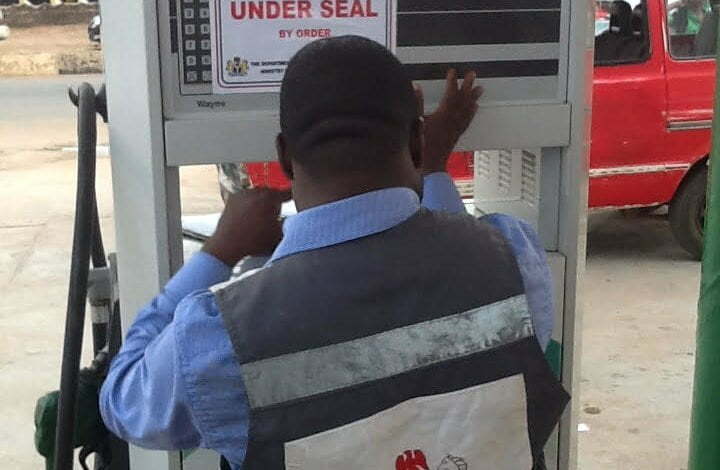 The Department of Petroleum Resources, DPR, in Eket Local Government Area of Akwa Ibom State has sealed up two illegal gas facilities in Uyo, the state capital. One of the sealed gas stations located at Ukana Offotâ€“ Duk Vendor, has a giant cylinder that had been welded: it also has fragile holes. It took the inspectors from the DPR rare courage to approach the facility for scrutiny. The Operations Controller, DPR, Akwa Ibom State, Mr. Tamunoiminabo Kingsley-Sundaye, in Uyo during the sealing up exercise on Wednesday expressed surprise that some people could set up such facilities that are capable of wiping off a whole community just to make quick money. He added that the exercise was just a warning to the operators of the illegal gas stations that are 3.2km apart or 7 minutes drive from each other to desist from carrying on with the illegal business and dismantle the facilities. He noted that in few daysâ€™ time, DPR will revisit the places and arrest anyone found within the facilities. According to him, â€˜the facilities had no engineering standards, safety measures, and guidelines and would not be allowed to remain in Nigeria. â€œThis morning we got intelligence report that two places in Uyo, the Akwa Ibom State capital are already breaking the law by establishing facilities that are not allowed, not recognised, and approved by law in Nigeria. â€œThe report has it that where they are housing gas cylinders are private homes and pipes placed outsides with holes dispensing the items to the public. â€œThese kinds of facilities have no engineering standards that have been approved by DPR. They have no safety measures and if these facilities are allowed to remain in the neighborhood, the entire people within that vicinity are in danger. That is why we have to seal up these illegal gas stations. â€œWe will follow the action by writing letters to the appropriate authorities which include the state fire service, Uyo Capital Development Authority, which is in charge of land, the Nigerian Security and Social Defence Corps, the Department of State Service, and the Nigeria Police. He added that DPR could not have approved an illegal establishment capable of wiping off a whole community. He added that if the agency had approved the facilities, they would not have been there to seal up their business premises. He added that he was surprised that DPR from Eket could seal up the place.